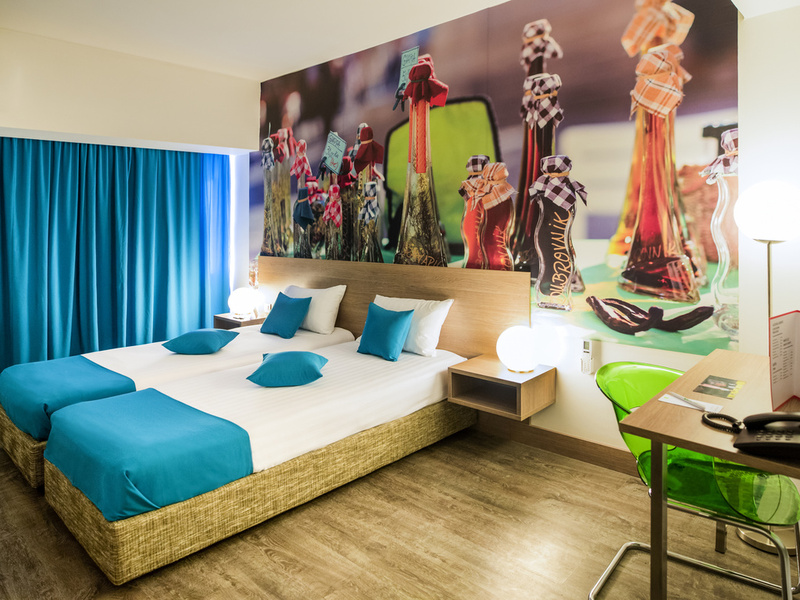 All 47 rooms in ibis StylesSkopje have a contemporary, stylish design, with high quality comfortable mattresses, air conditioning, flat screen TV offering variety of cable channels and elegantly designed bathroom.The hotel features various modern amenities, including a stylish lobby bar, a snack bar and free WIFI access. We offer 24 hour reception service, laundry and dry cleaning, luggage storage, FREE parking. Safe deposit box and fridge available in some rooms too. We are Your home away from home! Our bar offers 24 hours service and you may enjoy a wide selection of drinks or snacks at the bar or to take in the room. Tråkiga rumsdörrar utan trösklar som släpper in ljus och ljud men trevlig personal och smogfritt inne på rummen.